The watches of citizen brand is famous for making glamorous watches, it is the only brand which produces watches in large quantity in the world. This brand is also popular for inventing watches using with the latest technologies. The brand citizen makes awesome watches for men’s and women’s, the watches citizen are never gone out of fashion due to its popularity. 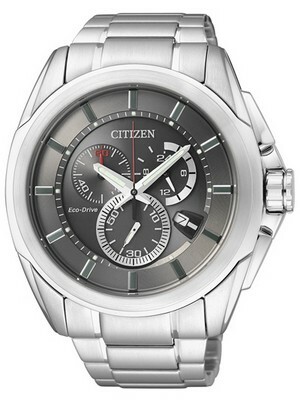 The brand citizen comes with another handsome watch that contains strong stainless steel. If you finding a multifunction watch with good quality of material in reasonable price they this watch is one of the best for you. This Citizenwatch case is made up of stainless steel and the bracelet of this watch also used the material stainless steel. This multifunction handsome watch is made in Japan having the working caliber H500 which indicate the greatness of this watch. Sapphire crystal glass is mounted on the face of this watch with this sapphire crystal glass you can see time clearly from a far. 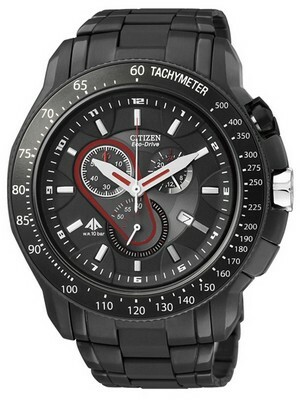 Generally all citizen watches uses Ecodrive technologies the specialty of eco-drive watches is they are charged by any lightning source, eco-drive watches never need a battery change because they take light for its working. The eco-drive watches are also known as eco-friendly or environment friendly watches because they uses energy from nature and they do not harm nature in any way, one of the main advantageous of eco-drive watches is they require least maintenance cost. When the battery is being fully charged it continuously works up to 150 days accurately. The dial of this watch is itself black on the black dial of this watch bright attractive hands are well placed. This watch displays date in a separate window near at the four o’clock position. This is Chronograph Watch, step by step chronograph watches is becoming a fashion statement, the chronograph watches having the ability to measure the time in more than one watch or simply in other words chronograph watches shows dual time. The insufficient charge warning function and the overcharge prevention function of this Mens Chronograph Watch will alert you when the watch is less charged or fully charged. The water resistant of this watch is to 100 meter. This watch is reliable and impressive in wearing also this watch will make you a new sense. 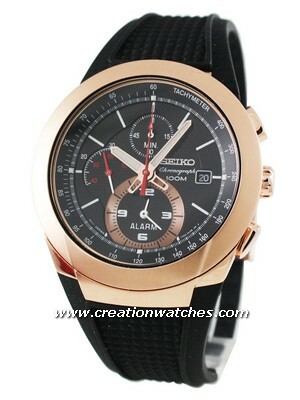 This attractive stylish eco-drive chronograph mens watch is suitable to everyone. This watch is available for US $210.00 with us. Newsletter : Seiko Solar Diver’s 200m Watch $149 only!